Do your kids love LEGO®? 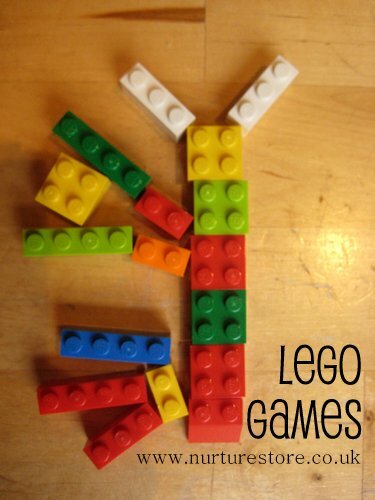 Just manipulating the pieces, snapping them together and pulling them apart is a great work out for fingers, helping to develop fine-motor skills, but Lego is a classic open-ended toy that can be used in so many different ways by creative kids. My girls most often use their Lego to build imaginary buildings or enclosures for their toy animals but recently L has been using them in lot of math games. 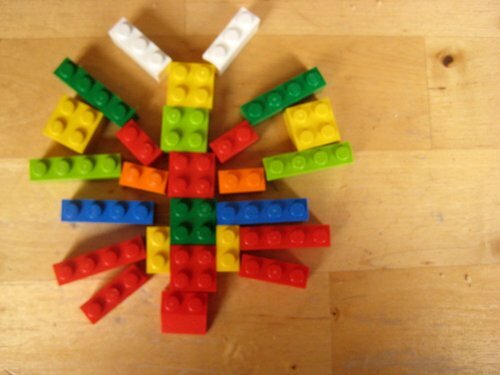 How can you use LEGO® to teach math, spelling, science and art? 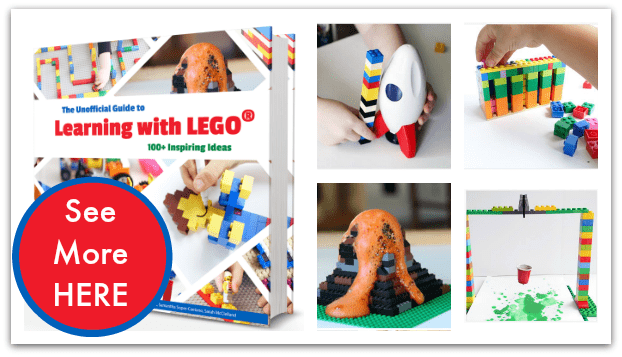 This resource of over 100 LEGO® activities for kids will show you how, with ideas for using LEGO® bricks for learning right across the curriculum. 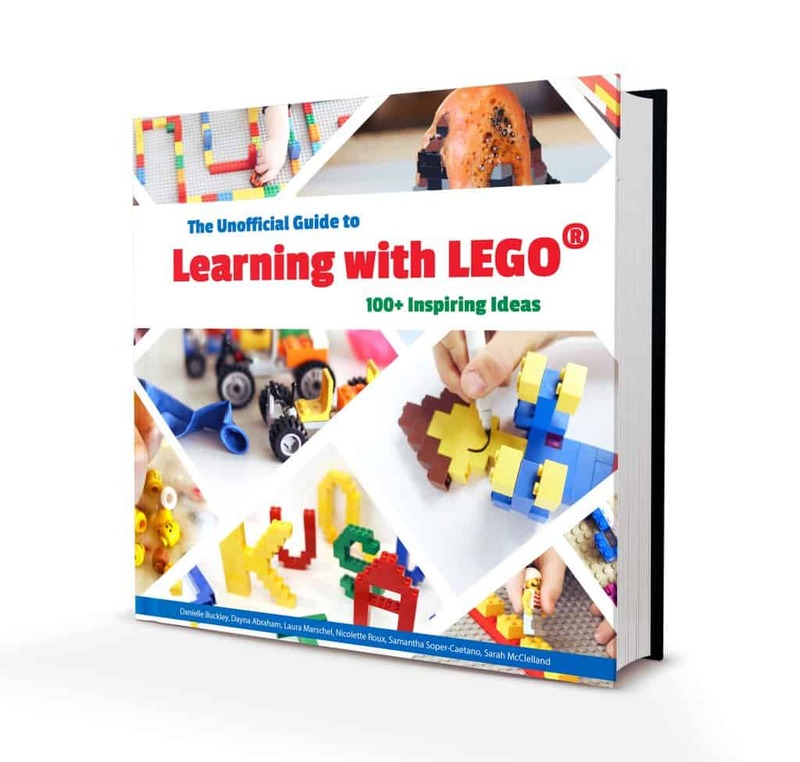 See The Unofficial Guide to Learning with LEGO® here. 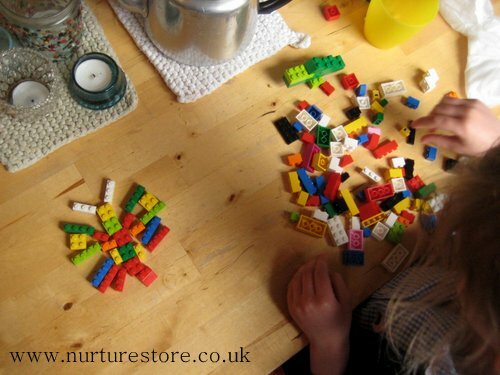 Building chains of LEGO® in repeating patterns, with the same sequence of colours going along the line, is very good mathematical patterning and are early steps towards addition and times tables. L loves spotting repeating pattens and she’s started to add more complex elements to the patterns she joins together. Last week she presented me with this symmetrical combination of Lego and we decided to build this into a matching game. We took it in turns to build half a picture and then see if the other person could complete it. This is a butterfly but you can just make patterns rather than specific pictures. You can make this as simple or complex as you like, to suit your child’s level – and I bet they’ll try and make the pattern you have to complete as difficult as possible! Make sure you have enough spare LEGO® blocks to complete the other side of the pattern and then see how long it takes you to find all the right pieces. This lets you play and learn, working with ideas about colour, shape, size and orientation. That’s a great multi-tasking idea Rainbow Prams – math and tidy up! Love these ideas! My seven-year old is a Lego fiend. I used Lego to teach him about fractions. He had already picked up on some multiplication facts just by playing with them for long enough (the blocks with two rows of six dots have twelve dots, etc.) For fractions, I would give him a stack of four blocks, each with four dots on them and tell him that was the whole. Then I would separate out one block and tell him that is one fourth of the whole, then that two fourths equal one half, etc. We practiced like that with different amounts, and soon he was telling me what one fourth of 20 was very quickly. I was amazed at how easily he picked it up when we started using something he was so comfortable with. 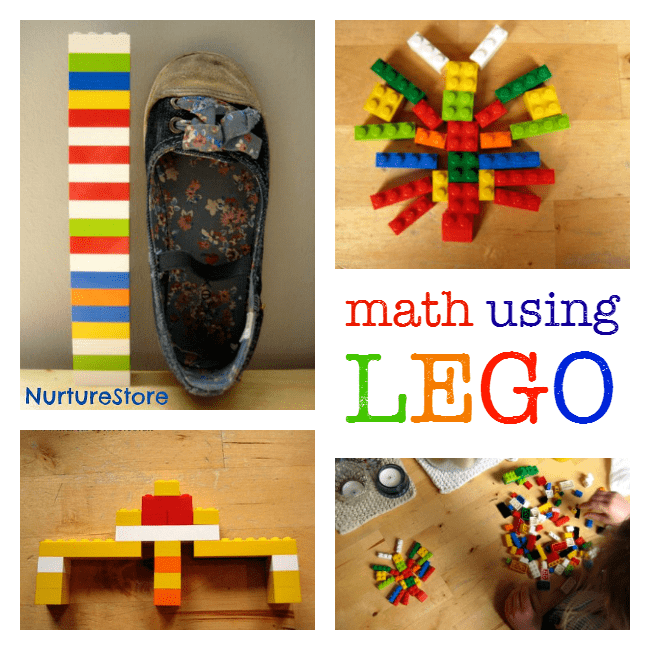 We will do many more Lego math lessons in the future! Great ideas Melissa – and just the perfect example of how kids assimilate learning from fun playtimes. 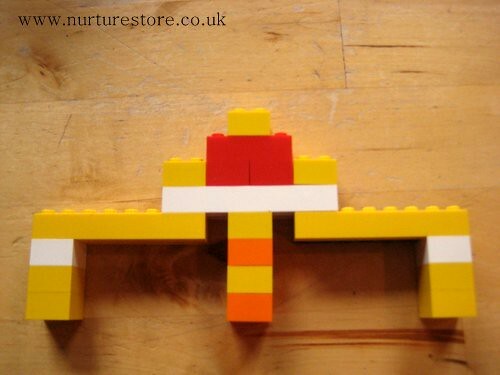 Lego butterfly…all I can say is genius! Super cute! Thanks for linking up. Thanks Deb! Heading over to check out your post now – sounds fab!